With aspens turning from green to gold, the fall season is the best time for a Vail jeep tour. 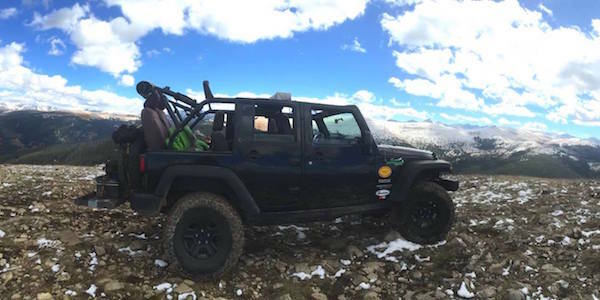 However, our early season jeep trips are also exciting because they’re often the first chance to get up high in the mountains after winter snows melt. The fall and spring seasons can sometimes have unpredictable weather, so it’s important to know what to wear on a jeep tour. Mornings in the mountains, even at the height of summer, can be chilly, and the afternoon sun can be intense at higher altitudes. Rainstorms can blow in for the afternoon and then be gone in a flash, so it’s good to be prepared for a variety of conditions. We want everyone to stay comfy–and safe–out there on the trail, so pack jeep tour clothes and accessories with these ideas in mind. Layered Clothing: Because temperatures and weather conditions can vary throughout the day, it’s best to dress in layers for a jeep tour. Choose a thin short-sleeved or long-sleeved base layer, and then add on a few layers–such as a fleece mid-layer, a vest, or a jacket–that you can shed once it warms up. Having a rain jacket is nice, but our jeep guides will close up the jeep if it begins to rain to help you stay warm and dry. Closed-toe shoes: Since you will want to get out of the jeep and stretch your legs, closed-toe shoes are best on jeep trails, which can be rocky. In order to take in scenic views on some of the best jeep trails, short hikes are required, so wear sturdy shoes that will protect your toes while moving over rocky or uneven terrain. Accessories: Sunglasses and a sun hat or cap will help protect your eyes and face from the sun’s intense rays, and a beanie-style cap will help you keep warm in cooler spring and fall temperatures. Consider bringing along gloves to keep your hands warm in the cooler season. Camera: With such amazing mountain scenery and wildlife in the Vail area, a jeep tour will give you many opportunities to take photos. Wallet: While guides will provide refreshments on all jeep tours, the Piney River Ranch jeep tour has additional opportunities for snack purchases when the restaurant at Piney River Ranch is open. 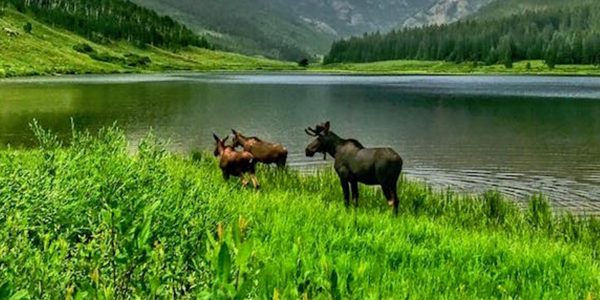 Of the jeep tours we offer, the Piney tour is the only one that includes a bathroom and snack break when the ranch is open–plus, when you’re lucky, it’s one of the best places for Colorado moose viewing. Personal items: Bring along personal sunscreen and lip balm to reapply along the way. Also bring any required medications, such as allergy remedies, that will help protect your personal safety. 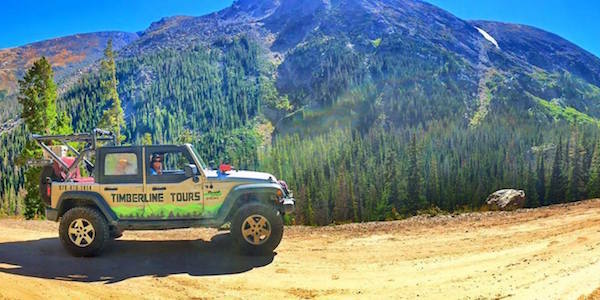 Sense of adventure: Finally, all of our Vail jeep tours can be an eye-opening experience if you just show up with a childhood sense of adventure!